Thanks to everyone who voted for us to be Greenlit! This is our very first title and we are so pleased we got through. In total we got through in 8 days. We are still committed to making the March 2017 release date. 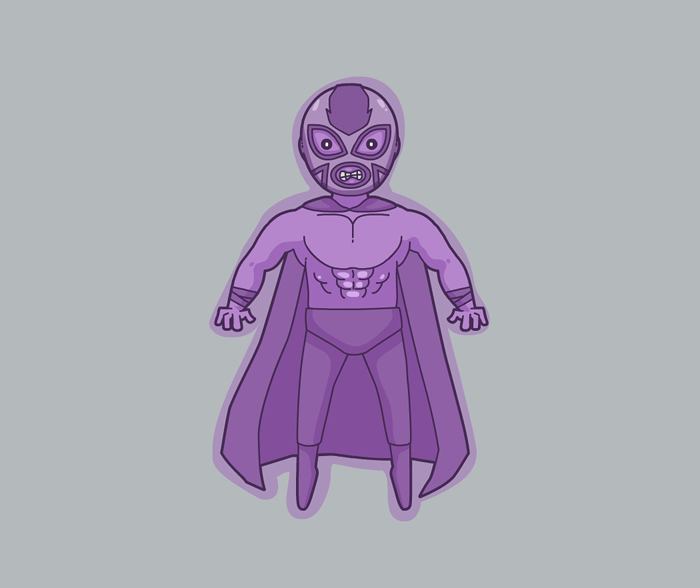 We are currently waiting for one background to be finished and some animations back from the animator. From there is the relatively easy task of the voice acting. We actually have been scoping out the best voice actors for the different roles for quite some time now. Once these come back to us we have the rather lengthy task of ensuring that all the audio tracks are at the same volume and then setting the markers when each sentence is read. I really want Bayou Island to be on as many platforms as possible. Here's hoping that the game at least gets Greenlit on Steam! Here we go! So I have a free video editor program called "Shotcut"which pretty much allows you to do all the basics that you would expect to do for a video editor. So which navigation style do you prefer? Well the stats are in and I've had over 2000 installs of Bayou Island Part 1. I never thought I'd achieve so many, so thank you to everyone who downloaded it. From what the stats tell me, I've had more people find the game organically (as in just found it on the app store) rather than me promoting it. Fortunately I read a good article a few weeks back about how to have good SEO for your app's description and it definitely seems to have worked, especially in Google Play. From what I've learnt about promoting a game - is that it's 100 times harder than making the game! There are other "indie devs" out there with bigger teams and bigger budgets than me. Personally I feel the term "indie" is being used too much now. I've always considered an Indie dev, to be a very small team, as in 3 developers or less. Having a good SEO description, especially on Google Play. Right, that's it for now. On to more work for Part 2! 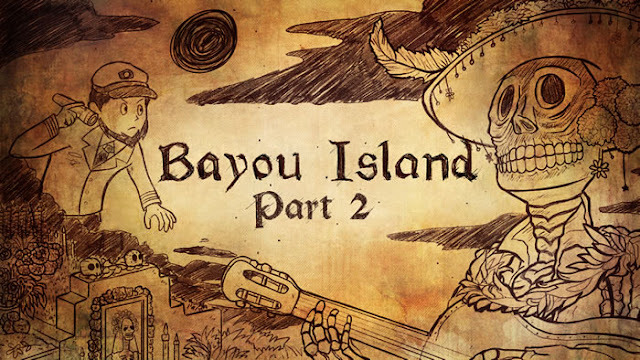 With the huge success that Bayou Island Part 1 brought http://bit.ly/2dBAXQZ, I've decided to do a Part 2 - I just wish I had started this blog then but little did I know that so many people were going to enjoy Bayou Island. So to start off this new blog I have two new pieces of news! Info on Bayou Island Part 2 and this little guy who is a new addition to Part 2. Many people in the app store's were concerned about how short Part 1 was. To be honest I was a little annoyed with myself too. The reality of it is that Point and Click Adventure games are expensive to make. Using the various freelancers I use from around the world, it rounds up to about £1000 ($1243 USD) per every 20 minutes of gameplay. Of course this is a bit of a variable because it depends on so many factors. Animation and backgrounds in particular cost a lot of money. Part 1 really just started as more of a tech demo to see if a Point and Click Adventure game was really possible in HTML5 canvas (yes that's right - no Progressive C or Java here). It took just over a year (off and on) to build the engine which is built on top of Phaser.js. So all I was really focused on was being able to make the game. Now that I can see that it is all possible I can dedicate some time to writing this blog. Bayou Island properly launched on 12th September and it's had over 2000 installs so far. I had no idea that I would get that many. Even just to get 100 installs would have been a great achievement for me :) 2000 installs is still a long way off from the likes of Pokemon Go, but hey we all have to start somewhere. I've been busy working away at creating Part 2 recently. I have written the story (and yes it ties up all the loose ends from Part 1) and all the puzzles. In Part 1 I wanted to go easy on the game user by making the first room puzzles very obvious just so that the player can get used to the controls more than anything. Part 2 I think will provide about 30 minutes of gameplay so for a very small game the total amount of gameplay the game has is 45 minutes which isn't bad for an HTML5 canvas game. Before working on Part 2 I've been fixing up some things in the game's engine which I always wanted to solve first. This was mainly down to caching which was always an issue for me. Previously Part 1 would just remember everything you had done previously but would never remove the assets from cache. Whilst this was fine for a small game such as Part 1 realistically having a game which is over say 20 rooms, would completely crash the device. In fact 4 rooms which Part 1 was, was a stretch. Part 2 also introduces a new character to the mix called El Matador Misterioso you can see his design above. I will leave the mystery as to what his part plays in the game muhahaha :) But one thing I will tell you which you've probably guessed is that he's a ghost. In other news I have just briefed my musician who is creating 2 new tracks for the game and I am waiting for the new Part 2 title card from my artist. But what everyone wants to know is... what happened to George?! For now that's all, stay tuned for further developments. ANDY-HOWARD.COM. Simple theme. Powered by Blogger.